Owning a popular device like iPhone and iPad has its advantages and one such benefit for the iOS users is the developer support. Developers love to support any platform that has a great user base. Since there are millions of iOS users, developers keep coming up with new apps to offer more and more to the end users. 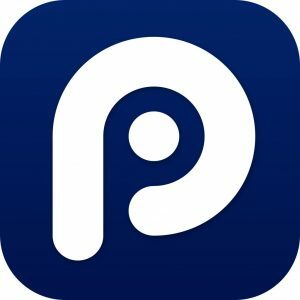 The 25PP is one app that is popular among the iOS users for all the right reasons. Now if you want to install 25PP English Repo on iOS, this article is for you. 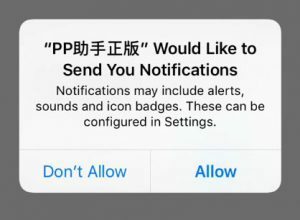 The 25PP is a Chinese app that is known to be the alternative App Store for the iOS devices. Since, most of the iOS users don’t prefer to Jailbreak their device, installing third-party app store like 25PP is always a tedious task. But, not anymore. Here we have two ways to download 25PP English repo for iOS on non-jailbroken devices. You can install 25PP directly on your device without using a computer, or you can use the PC to install the app. Either way, you will have 25PP installed on the iOS device without a jailbreak. 25PP is nothing but an alternative app store for the iOS device. While the app offers tons of paid and cracked apps for free, it has more uses than just piracy. The Apple App Store does not allows some applications on its store and people use apps like 25PP to access them. Note: We do not condone piracy of any kind. This tutorial is for educational purpose only. We always ask the users to support the developer by purchasing the app that they want to use. Visit this page. It should open the official 25PP website for the Apple devices. Tap the “Blue Download button” shown on the web page. A pop-up will ask if you want to install the app. Tap on Install to proceed. The app will now download and install on your iPhone / iPad. After the installation is complete, the app icon will be available on your home screen. Don’t open the app just yet. Since you have downloaded the app from a third-party source, iOS will see the app as a non-trusted app. You need to make the app trusted from the settings. Go to Settings > General > Device Management and Profile and find the app developer profile. Tap on the profile and tap Trusted. Go back to the home screen and launch 25PP. You can use the app to download all the apps for free and also apps that are not available on the App Store on your iPhone. Open the web browser on your PC and visit this link. It is the official website for 25PP. From here, you need to download the 25PP PC client for Windows. The site is in Chinese, so use the page translate option available on your web browser. After downloading the application, install it. Launch 25PP on your PC and connect your iOS device to the PC. Once the PC client detects the iPhone, click the 25PP Assistant icon to install 25PP for iOS. The PC client will download and install the app to your iPhone.